Dollhouse Decorating! 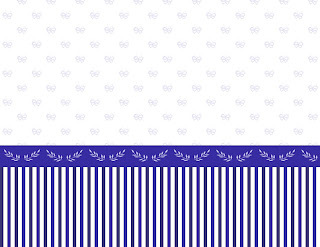 : Free printable dollhouse wallpaper! Here is some free printable doll house wallpaper for you... print it, cut to size, lightly mist with Matte Clear Acrylic Sealer if desired (it creates a more realistic sheen and feel), and glue to your wall! (With this type of print-your-own dollhouse wallpaper, you should put very small amounts of glue directly on the wall of the dollhouse and then press your printed paper onto it. Otherwise the paper curls up and is extremely frustrating to work with.) This wall paper has its border "built in". I created this using Adobe Photoshop Elements - if you're familiar with the program you can create your own - exactly the color and pattern(s) you need! Click on this picture to see it larger, then right click and save to your computer. For personal use only, not for re-sale.